Washington (AFP) - The new US Secretary of Homeland Security told Fox News late Wednesday that he hopes the US-Mexico border wall ordered by President Donald Trump can be built in two years. "The wall will be built where it's needed first, and then it will be filled in. 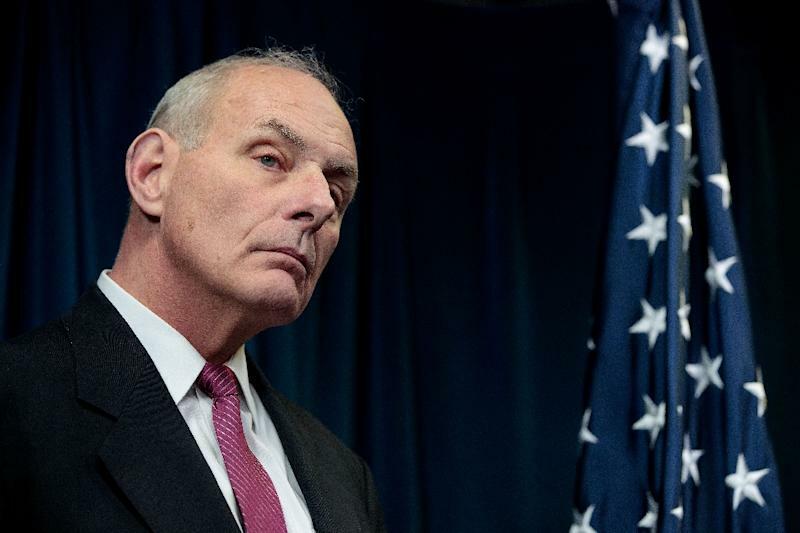 That's the way I look at it," retired Marine general John Kelly told Fox. "I really hope to have it done within the next two years." Trump has signed an executive order designed to meet his campaign pledge to build a wall along the 2,000 mile (3,200 km) southern US border, with the stated goal of keeping out undocumented migrants, drugs and criminals. Some 653 miles of border already features fencing that blocks people and/or vehicles. The White House can divert existing funds toward the project, but the Republican-controlled Congress would need to allocate funds if the wall is to be anywhere near completed. Trump's campaign vow to make Mexicans pay for the wall has caused a diplomatic row and sparked patriotic fervor south of the border. Mexico has categorically ruled out paying for the wall or reimbursing the United States for it.